This is a great time of the year to be a wine writer. Following the madness of Christmas, the wine industry refocuses on expanding and presenting their new and popular wines at trade tastings. Luckily I often blag my way in to these events and get to taste wine on a Thursday at midday. It’s not a problem, it’s research! Besides, unfortunately there are always spit buckets provided and use is encouraged! Last month saw successive Thursdays host the New Zealand and Australian wine fairs. Although we think of them as near neighbours, truth is the two countries are seperated by over 1,500km of ocean. And the gulf in their respective wine industries is just as great. New Zealand’s wine industry is tiny on a global scale, but from Sauvignon Blanc to Riesling, Pinot Noir and Chardonnay to Bordeaux blends- it seems they can do no wrong at the moment. Meanwhile Australia is trying to regain some of its lost dignity in an unforgiving industry fuelled by fickle consumer trends. The world couldn’t get enough of the bold, oaked Aussie Chardonnay for years, until very quickly it fell out of fashion. In hindsight it is very easy to become snobbish and deride that style of Australian wine, but we must remember that those wines are not stacked in a sandy warehouse somewhere in the Outback. They were sold. They were drunk. And for years they were enjoyed. Luckily for us, the Australians seem to have learned something from the experience. Where once Chardonnay was planted anywhere a vine could fit, the Aussies went back to the drawing board to see what varieties best suit which terroirs. Now the Australians are experimenting with new regions and varieties. For me Australian Riesling will stand along Shiraz as the premium wine vanguard that will recover the fortunes of this vast country’s wine industry. And what of the Chardonnay leftover? Well, some of it is still stuck in the 1980s- plodding away producing bulk wines with little character. However, much of it that suited the land upon which it was grown is still there and producing good quality fruit. Modern winemakers are looking for these better sites and rescuing them from the ignominious fate of producing Aussie bulk wines. One such winemaker is Lisa McGuigan, who was over in Europe during January to launch her new range of wines. I met up with her at the Australian Wine Fair in Dublin last month. Having her father as a consultant undoubtedly helped, but it was Lisa’s drive and passion for a wine that she could proudly stand by that drove her to produce the range she currently has. Alongside the beautiful top-end Adelaide Hills Pinot Noir in the Platinum Collection, she also has every day wines under her Wilde Thing label. Just like their creator, these wines have a quirky, fun look. There’s nothing stuffy or snobby about the bottles- looking more like craft beer labels than traditional wine labels. The Silver Collection Chardonnay was lovely and fresh, with tropical fruit, lemon and flowers wafting out of the glass. Although not stocked here in Ireland yet, this is a fantastic alternative to other Aussie Chardonnays at only €9. Very good value considering the tax man is taking half of that here in Ireland. 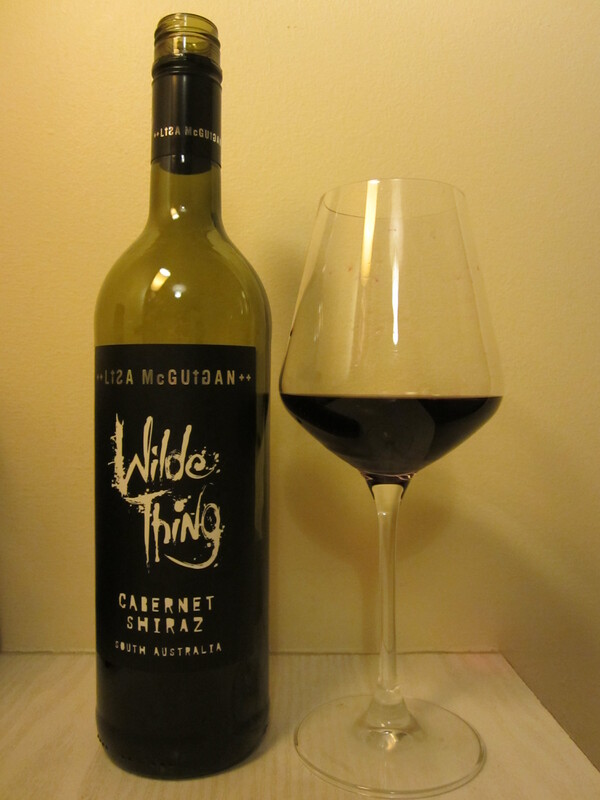 Wilde Thing Cabernet-Shiraz. Promo Price €8. However, for me the pick of the range was the Wilde Thing Cabernet Sauvignon- Shiraz blend. If this really can be sold at the quoted promotional price of €8, this is the best value wine I have tried so far this year. A lovely vibrant ruby colour, this is an easy-drinking wine with fresh blackberry and plum fruits and a little touch of spice on the finish. The alcohol is quite high, but doesn’t dominate the wine. Excellent value and a great alternative to similar New World wines. Hopefully we’ll see it on our shelves in Ireland before too long.